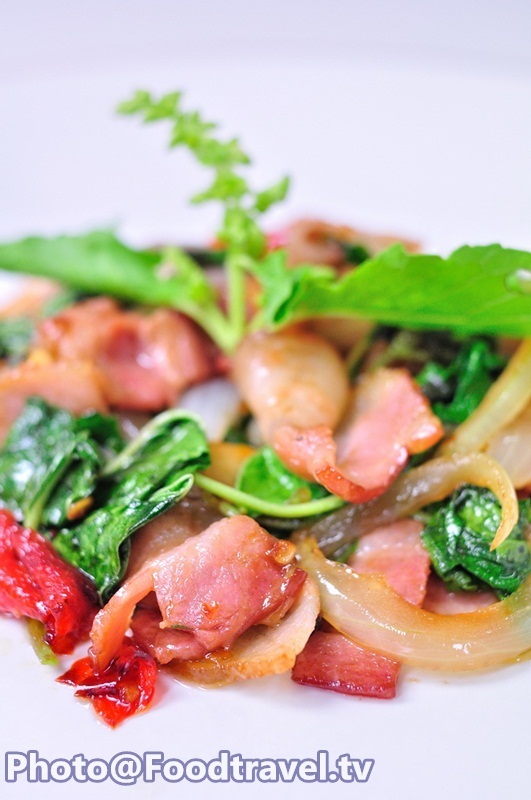 Fried Bacon with Basil Leave (Ka - Prao Bacon) - Fried Bacon with Basil Leave is new fusion menu that we want you to try. 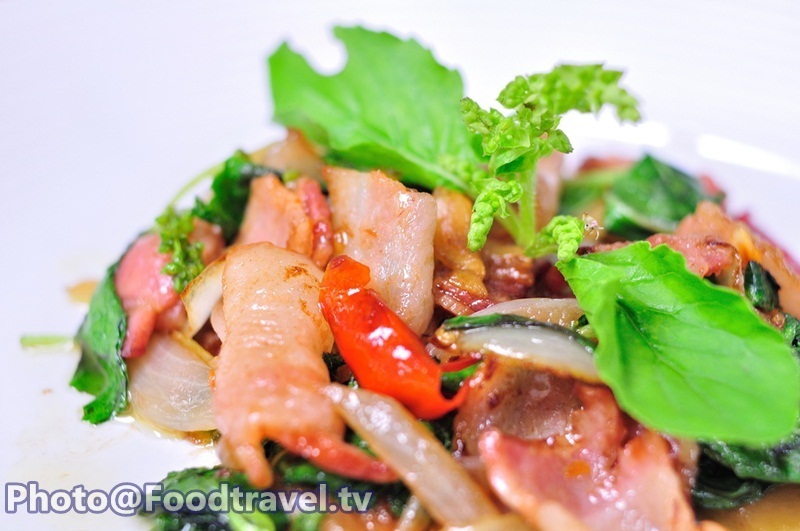 We bring bacon to fried together with Thai ingredient like basil leave. It’s new way delicious with a mellow taste of the dish. 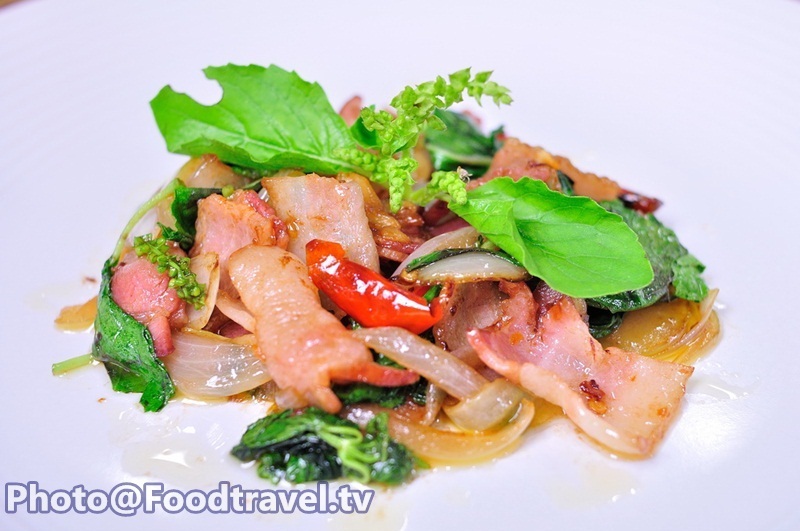 Who like to eat bacon do not miss this menu. 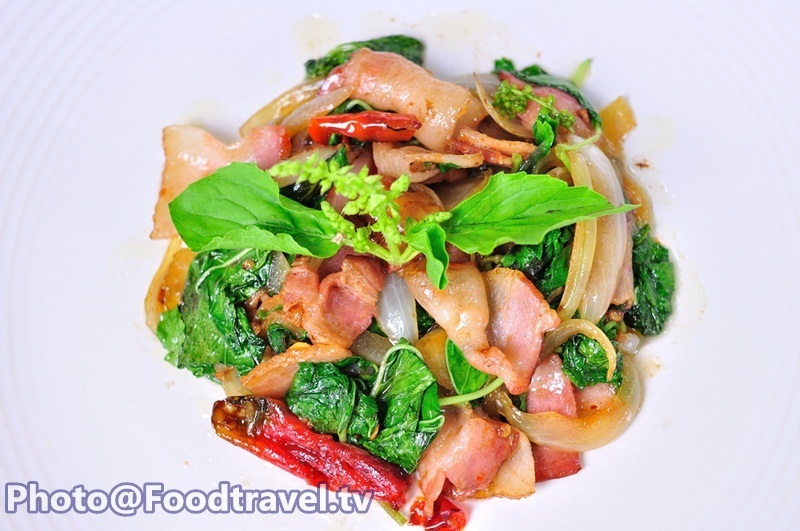 Fried Bacon with Basil Leave (Ka-Prao Bacon) - Fried Bacon with Basil Leave is new fusion menu that we want you to try. 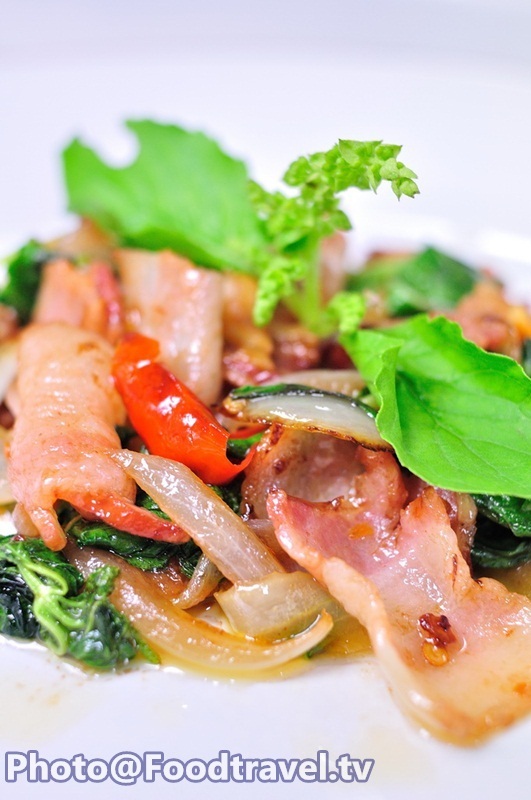 We bring bacon to fried together with Thai ingredient like basil leave. 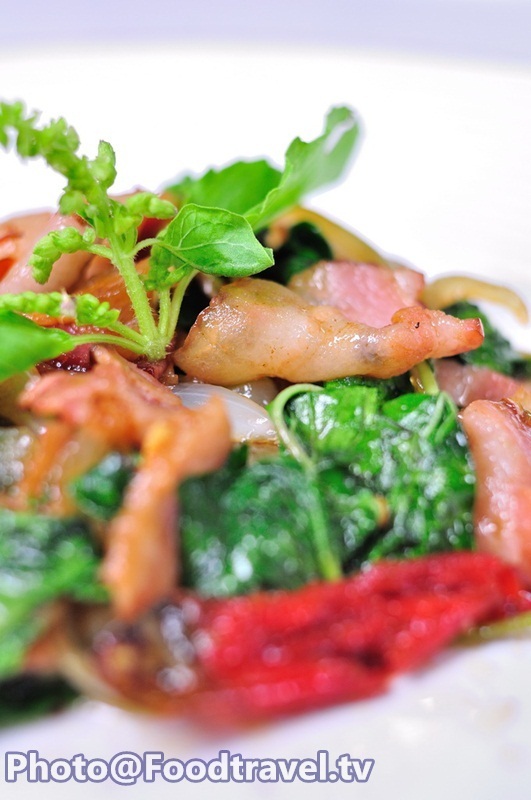 It’s new way delicious with a mellow taste of the dish. Who like to eat bacon do not miss this menu. 1. 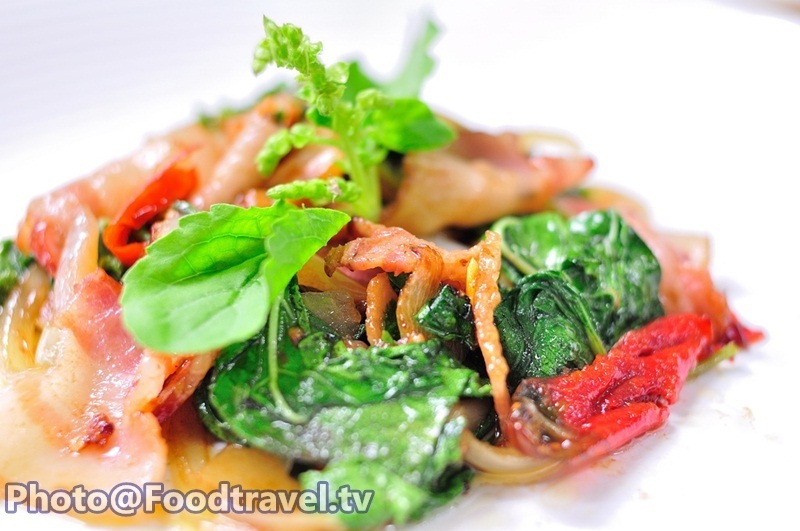 Fry chilli – garlic. 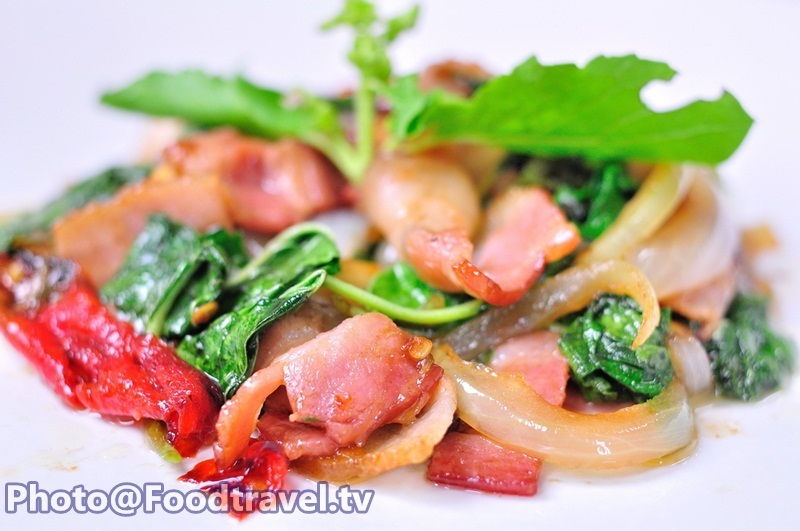 Follow with bacon and onion and stir until cooked. 2. 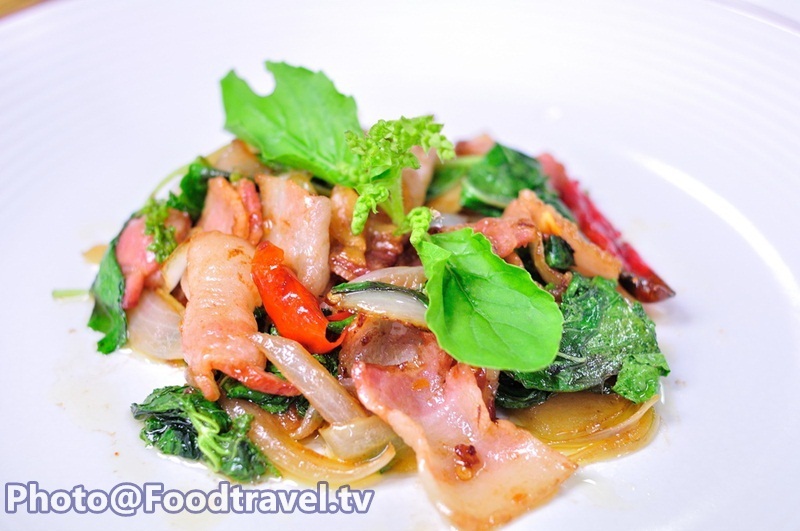 Season with sugar, fish sauce, oyster sauce, and seasoning sauce just a little because bacon already has salty taste. 3. Add basil and stir to combine at last. 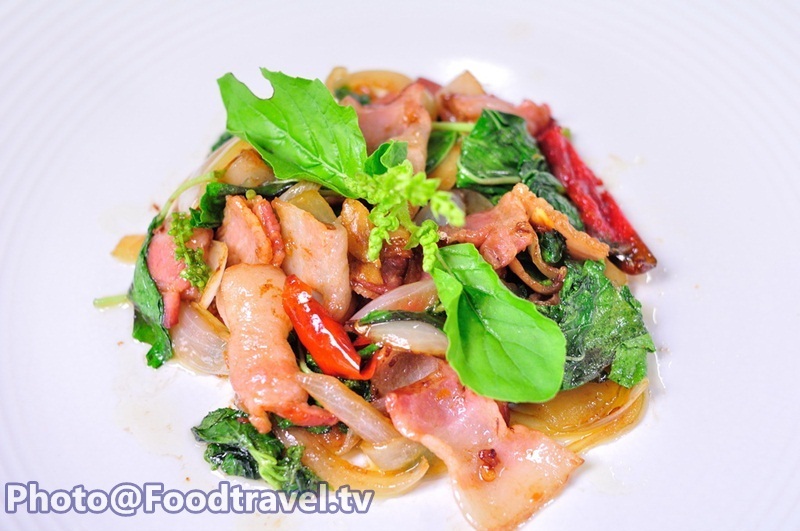 Served by decorating dish with top of basil leaves. Ready to serve.